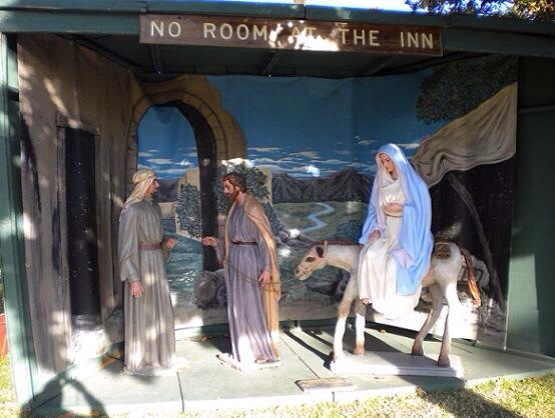 “No Room At The Inn” is based on the story of the Nativity. Christian Voices put forward this simple question in their latest (December 2013) production. Many people were affected by the census that is so well known to all Christians so many years ago. There must have been many interesting stories to be told, even if none quite as delightful and awe inspiring as that of Mary and Joseph. The cast and production team can be found here. The service sheet from the performance at St. Peter’s can be found here. The programme from the performance can be found here.